Atletico Madrid head coach Diego Simeone insists his touchline ban will have no impact on the second leg of his side's Europa League semi-final against Arsenal. The LaLiga club welcome the Gunners to the Wanda Metropolitano tied at 1-1, having played most of the first meeting with 10 men following the 10th-minute dismissal of Sime Vrsaljko. Having complained to officials following the red card, Simeone was ordered to leave his technical area after demanding French referee Clement Turpin book Arsenal's Hector Bellerin. UEFA has charged the former Argentina international with insulting a match official and improper conduct, with a disciplinary panel to judge the case on May 4, the day after the second leg in Madrid. Simeone will be absent from the touchline on Thursday, but is confident assistant German Burgos can be an equally passionate presence. "There is German, who is perfectly capable," he said. "He has the same passion as me. We've known each other since we were kids, we do not need to look at each other to know what we are thinking. "I'm completely calm. At this moment, it is the players who have the leading role and the energy." 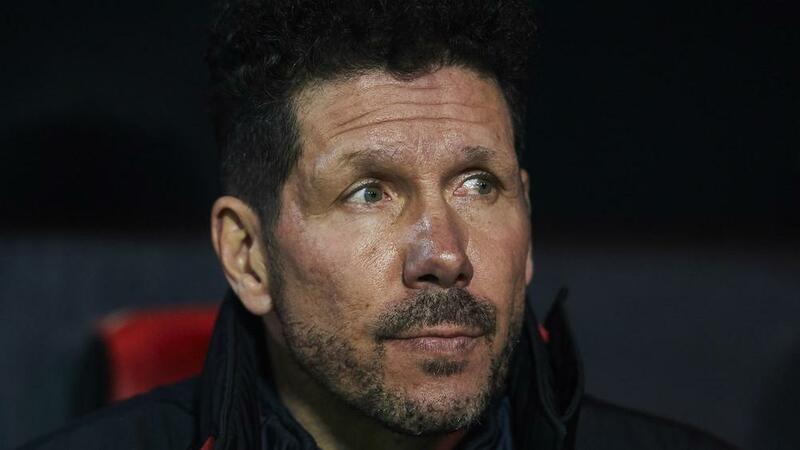 But Simeone insists he will not be changing his approach as a result of having been sent off. "I'm sad about the situation and the suspension," he added. "I will have to improve and I best not say anything else. "It is not going to change the way I coach the team, seeing myself on television, it could be understandable, it depends how you see it. It could be interpreted normally as it is just a protest."